November 2016 was one of the hardest months of my life. I was diagnosed with severe hearing loss, and between the two rare diseases I have that caused it, along with the rare type of hearing loss I have, I quickly started to feel all alone and like no one understood what I was going through. I could feel myself slipping into a depression. If it wasn’t for Hike it Baby and the people I have met through this organization, I might still feel that way. I joined the Hike it Baby Orange County, CA branch right as it was getting started in the spring of 2016, I became a branch ambassador in October 2016, and then was diagnosed with my hearing loss in November 2016. 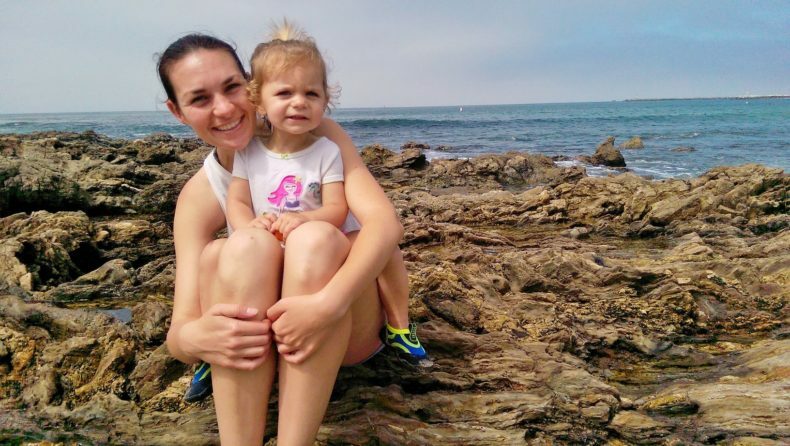 The founder of HiB Orange County, Sara Boswell, teaches children with hearing loss and her support, knowledge, and love got me through my darkest times understanding my new hearing loss. I have been very open about my hearing loss, which has led me to meeting others with various degrees of hearing loss, including three members in our branch, one being Lexi Marman-Cowden and one being one of my fellow branch ambassadors Nicole Dominick. 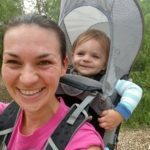 Nicole, Lexi, Sara, and I have chatted many times about how being Hard of Hearing has impacted our hiking, both alone and in groups, and we wanted to share a few tips we have picked up for both those who are Hard of Hearing, and those who are hiking with someone who is Hard of Hearing (even if you don’t know you are). If someone asks you to repeat yourself a few times, seems to ignore you, or interrupts when you are talking, please do not assume that they are not listening, rude, or socially awkward. They may have a hearing loss and do not feel comfortable sharing. If this happens, please repeat yourself clearly, slightly louder, and slightly slower, but you do not need to do any of these exaggeratedly. Rephrasing your sentence can help too as some words and sounds are harder to hear than others. Please remember, as annoying or frustrating it may be for you to repeat yourself often, it is even more so for us asking you to. Please be kind to us; it is a good thing we are asking for clarification because it means we want to talk to you and we care about what you have to say! If you notice someone is actively standing on one side of you more than the other, please let them do so. Both Nicole’s and my better ear is our right ear. Which means we both try to have people stand on our right side when we are having a conversation. Sometimes I have to awkwardly switch sides mid conversation, which may look strange. Some of my Hike it Baby friends instinctively know to always hike on my right side now because of this. Background noise can make hearing conversations very difficult for us. Examples include: a strong wind, leaves rustling, noisy walking surface, a creek babbling, or even birds chirping. A few months back I attended a HiB hike at a local wetland. Generally this hike has low background noise, but that day there was a construction truck nearby. Just having the rumbling of the truck was enough for me to not be able to understand anyone. This was before I was diagnosed with my hearing loss so I didn’t understand why everyone else seemed to understand each other but I couldn’t make out any words. After asking people to constantly repeat themselves, I got very frustrated and shut down, smiled and nodded a lot, mimicked other’s facial expressions, and then pulled away from the group, hoping they wouldn’t notice my lack of understanding. When talking to others, please make sure your face, especially your mouth, is uncovered and you are facing the person when you speak to them. Nicole and I both intuitively lip read when possible, but Lexi’s hearing loss is more severe so she needs to read lips in order to understand. If they are looking away from you when you want to start talking, a wave of your hand or a gentle touch on the shoulder are all fine with the three of us. This can all be near impossible and exhausting to do when you are hiking on single track, so depending on the level of hearing loss a person has you may need to wait for deeper conversations until you are back on wider paths. We are all comfortable hiking in silence, so don’t feel obligated to always fill the void with conversation. Make sure all safety hazards are addressed and understood at the beginning. Nicole brought up a great point, it is especially important to address any safety hazards at the beginning of the hike, since you’ll have the person’s full attention and they’ll be able to ask questions. 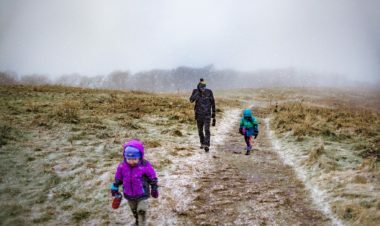 While hiking they will be less likely to hear any last-minute warnings. If someone opens up to you about having a hearing loss, don’t be afraid to ask them questions. Trust me, it is much more awkward if you don’t know how to act around us than it is to ask us a question. The Deaf/Hard of Hearing community is a huge and very complex spectrum. No two people’s experiences are exactly the same. Some may have hearing aids or cochlear implants. While others don’t. Some may communicate with American Sign Language while others use Listening and Spoken Language, while some use both equally. What works for Nicole, Lexi, or me might not work for others and that is completely OK. It is best to read their cues, ask them questions, and really listen if they are asking you to do or say something differently. 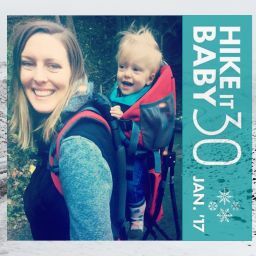 Since I was already so close with my Hike it Baby family when I got my diagnosis, they were (and still are) a huge support through every step of my difficult and complicated journey. However, if I knew of my diagnosis before joining HiB, or if my loss was more severe, I would be nervous about joining a hike for the first time as meeting new people can be scary. If you or your child has a hearing loss and you are hesitant to join a hike, we have some tips for you too. At first I was always so scared to tell people I had a hearing loss. Recently, I have adopted a personal rule that if I ask someone to repeat themselves more than three times, I always casually say something like, “I’m sorry I am having a hard time understanding you. 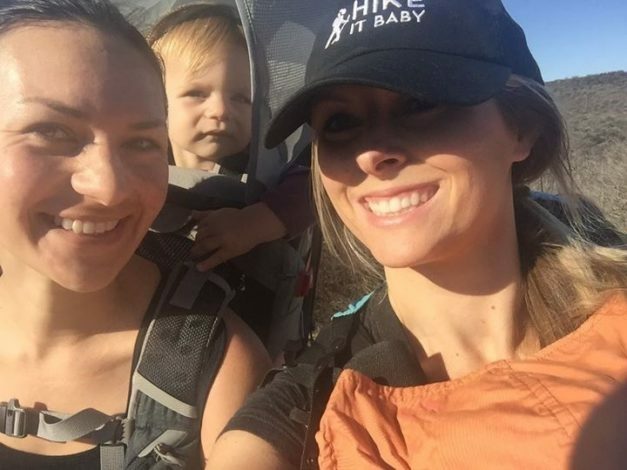 I am Hard of Hearing and the wind is making it extra hard to hear you right now.” I have found that especially on Hike it Baby hikes, the hikers are always very supportive and try to accommodate the best they can to make it easier for me to hear. On multi-use trails, often we won’t hear other hikers, bikers, or horses coming and we rely on our friends to give us a heads up. 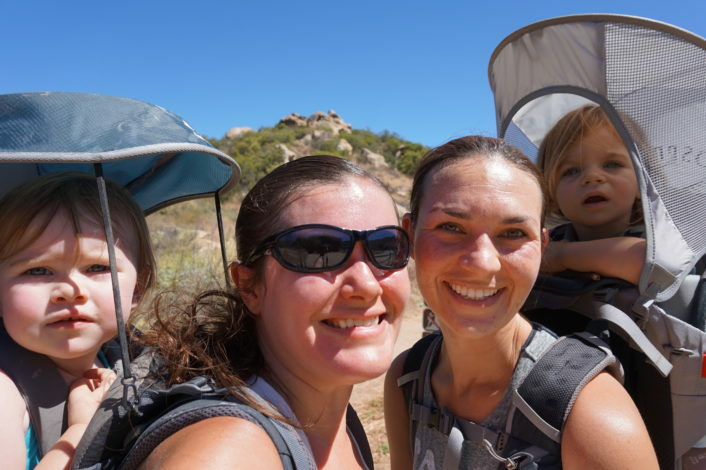 Nicole says, “While on the trail, my daughter has lost 2-3 sippy cups. I’ve been on several out-and- back trails and not realized that she lost her cup until I come across it lying in a bed of flowers or floating in the stream. She also dropped her sunglasses one time and I didn’t hear them fall. Luckily, I had several hiking partners with me who spotted the glasses on the side of the trail and were able to return them to me.” When possible, I try to stick to the middle of a hiking pack so I can have someone who is hearing both ahead and behind me. With just a little extra thought, inclusive behavior, and a bit of compassion, hiking can be an enjoyable experience for both those who are Hard of Hearing and those who are hiking with those who are Hard of Hearing. Community community values, hiking with hearing loss. permalink. Thanks for sharing your story Vanessa!